Ride with pride all summer long by going Metro to various pride events throughout LA County. For your best route, use the Trip Planner on metro.net . 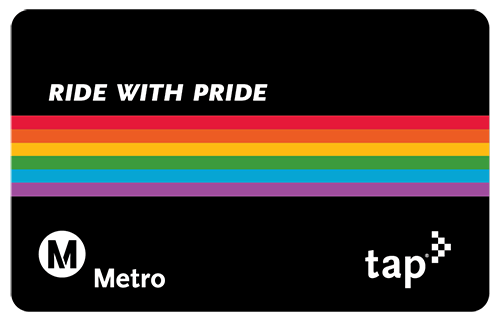 Buy this commemorative TAP Card at participating Metro stations, while supplies last.